Your Favourite Disney Characters Are Much Cuter as Toy Machine Prizes! HomeYour Favourite Disney Characters Are Much Cuter as Toy Machine Prizes! If you think the most iconic Disney characters are adorable as they are, wait until you see them in their plush Roly Poly forms! 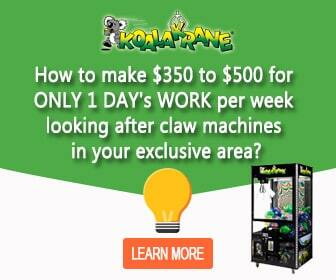 And the good news is—they’re casually sitting in Koalakrane machines today! 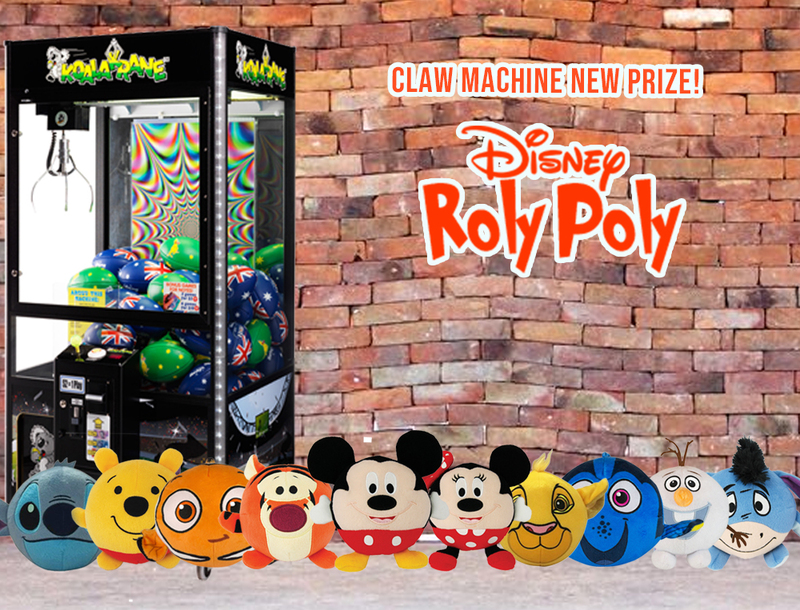 Get your own cute and cuddly Disney Roly Poly plush toy when you beat the claw in Koalakrane claw machines near you. Get the chance to win any of the 10 characters, including Mickey, Minnie, Olaf, Dory, Stitch, Eeyore, Nemo, Pooh, Simba, and Tigger! If you’re looking for something to give your little ones, give them the thrill of playing an arcade toy machine and the joy in winning a lovely prize! Dash to Koalakrane machines today and have a go for a Disney Roly Poly plushie! BT21 are Your Next Out-of-This-World Claw Machine Prizes! Candy Crush is Coming to Koalakrane Machines! Captain Underpants is Flying to Koalakrane Machines! Catch ‘My Little Pony’ Plushies in Koalakrane Machines! Chopper Lands in Koalakrane Machines!